Topological insulators are an exceptional group of materials. Their interior acts as an insulator, but the surface conducts electricity extremely well. Scientists at Physik-Department have measured this now for the first time directly, with extremely high temporal resolution and at room temperature. In addition, they succeeded to influence the direction of the surface currents with a polarized laser beam. About ten years ago, scientists discovered a group of materials called “topological insulators” with unusual properties. The interior acts as an insulator, but the top, three nanometers conduct electricity better than average. 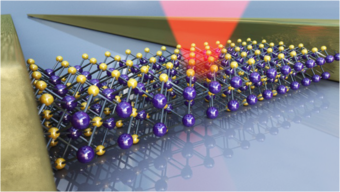 The group of Prof. Alexander Holleitner (TUM, Nanosystems Initiative Munich) has succeeded for the first time, to measure this charge current with picosecond resolution and at room temperature. They also made the sensational discovery that they can direct the current by the help of circularly polarized light. The best-known representatives of topological insulators are bismuth selenide or telluride. For the exceptionally high conductivity of their surfaces, scientists blame a phenomenon of quantum physics. One observes that all electrons moving in the surface layers have a well-defined spin. Hereby, they differ “topologically” of electrons inside the materials. The direction of the surface currents is directly linked with the electron spin. An electron with positive spin always flows in the opposite direction as an electron with negative spin. “The light polarization controls the direction of the photocurrents. This is very fascinating and it results from the coupling of the electron motion with its spin”, says Alexander Holleitner. In conventional conductors, a part of the electrons is always backscattered, for example at defects in the materials, resulting in a resistance. The electrons in topological insulators, however, cannot be stopped because of the fixed coupling of the spin and the electron direction. The current flows somewhat under ideal conditions. “Because of the suppressed backscattering of electrons, the energy consumption decreases. 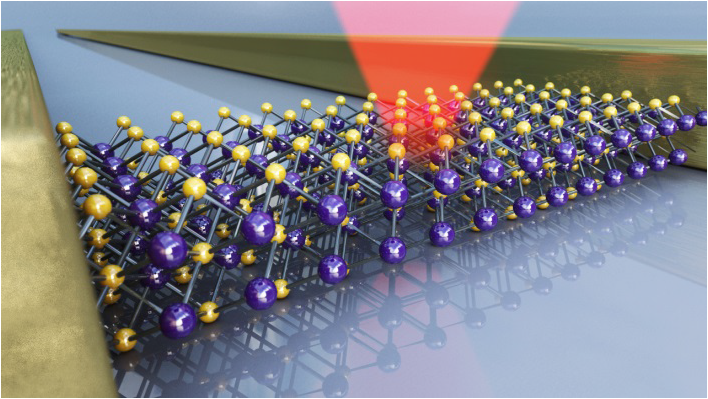 And this could be interesting, for example, for the use of these materials as semiconductors in the high-performance data processing”, explains first author Christoph Kastl, who has carried out the experiments together with his colleague Christoph Karnetzky. The Munich physicists use a unique measurement technique, with which they can detect very small electric currents directly and with a picosecond time-resolution. 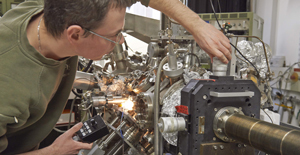 For the actual experiment, they contacted a topological insulator between two electrodes and excited the material with a polarized femtosecond laser. Having a special high-frequency circuit, the scientists could track in real time how the surface currents spread within picoseconds. The trick is to measure the surface photocurrents, while the coupling between electron spin and direction is still maintained. A few picoseconds later, additional currents start to flow inside the material, on which the polarization of the stimulating laser has no influence. Hereby, Holleitner and his group could directly explore the onset of such additional thermo-electric currents in a real-time fashion. Therefore, the experimental results are interesting for spintronic and thermo-electric circuits. 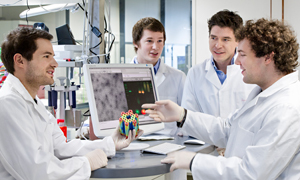 The experiments are funded by the Deutsche Forschungsgemeinschaft within DFG Projects 3324/8-1 of the SPP 1666 “topological insulator“ and the excellence cluster “Nanosystems Initiative Munich“ (NIM) and the European Science Council (ERC Grant „NanoREAL“). 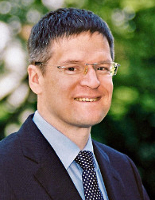 Co-author Dr. H. Karl works at the University Augsburg.